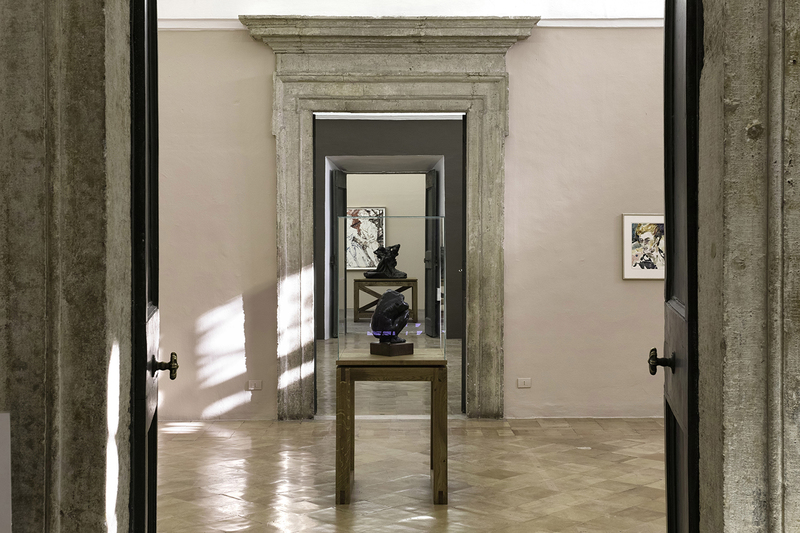 The French Academy in Rome – Villa Medici is pleased to present Eternal Idol, an exhibition bringing together paintings, drawings and prints by American artist Elizabeth Peyton and sculptures by French artist Camille Claudel. 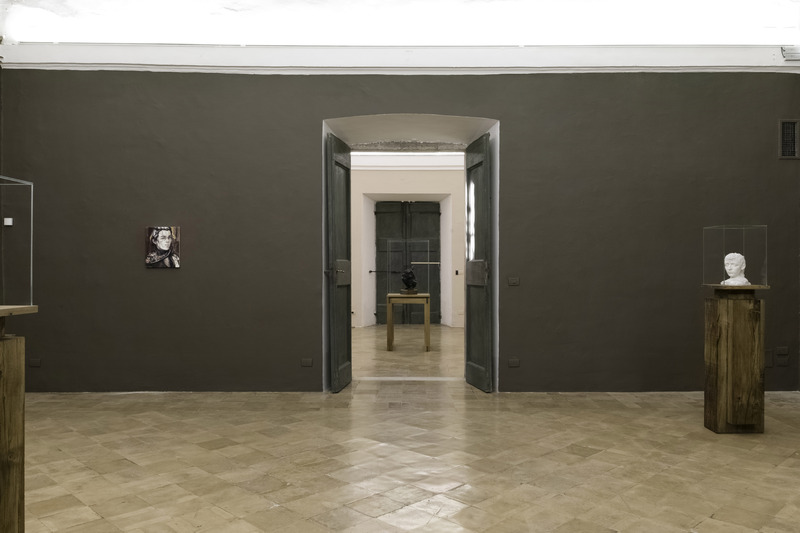 Works by the two artists, born a century apart, interact to reveal their distinct approaches to portraiture, myth and gesture. Peyton’s evocative selection of works also includes sculptures by Auguste Rodin. 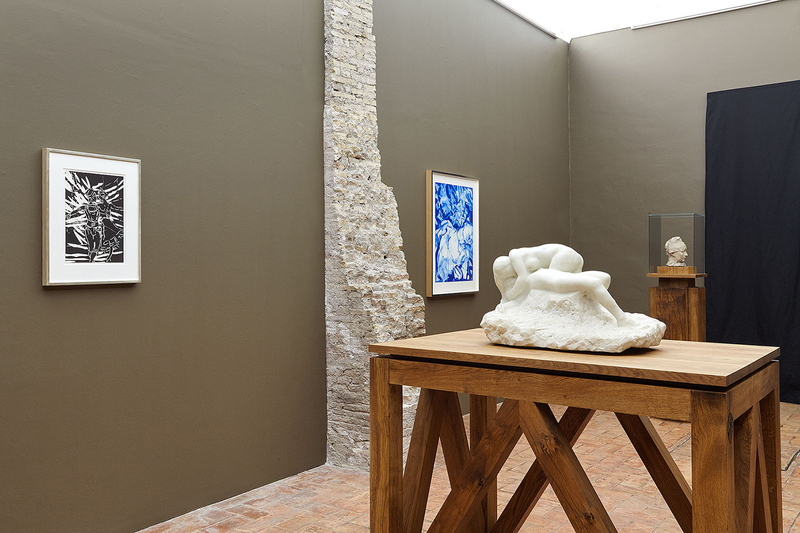 Coinciding with the centenary of Rodin’s death, the title of the exhibition refers to one of his most powerful artworks. 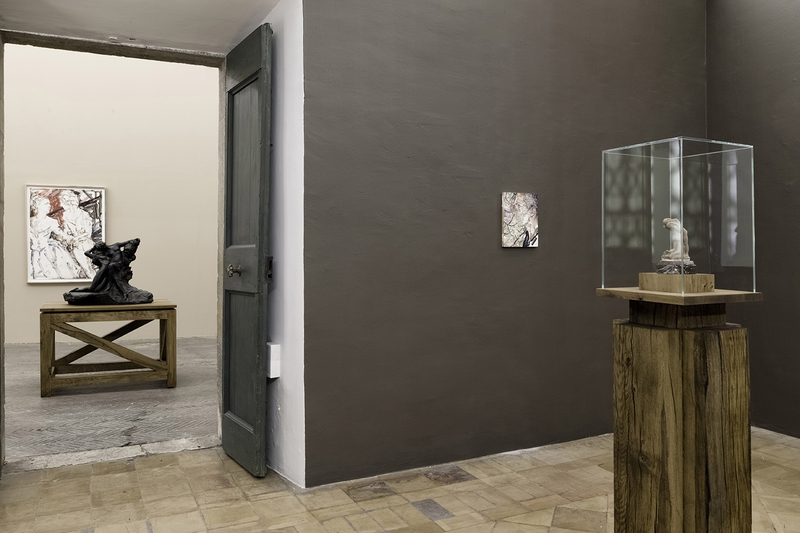 This is the third act in the UNE series of exhibitions, originated by Villa Medici director Muriel Mayette-Holtz and curated by Chiara Parisi. Peyton came to prominence in New York in the 1990s for her psychologically acute portraits. Throughout her career, her works have depicted both characters from her own life and figures from history and fiction. Whether based on photographs or painted from life, her works are typically intimate in scale, and compress a variety of precise and intuitive marks. Her portraits are frequently characterised by a freedom and range of expression, through which she evokes the interior life or psychology of subjects as diverse as David Bowie, Leonardo Di Caprio, Napoleon, Queen Elizabeth II, David Hockney, and her own friends and fellow artists. In addition to making new works specially for the exhibition, Peyton has created a monumental artist’s project for the Villa’s main façade as it undergoes renovation. 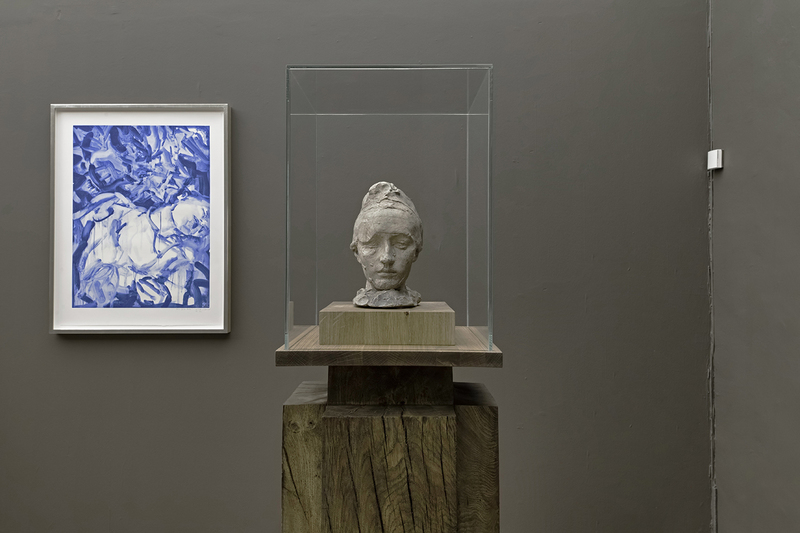 This exhibition engenders a dialogue between Peyton and Claudel (1864–1943). 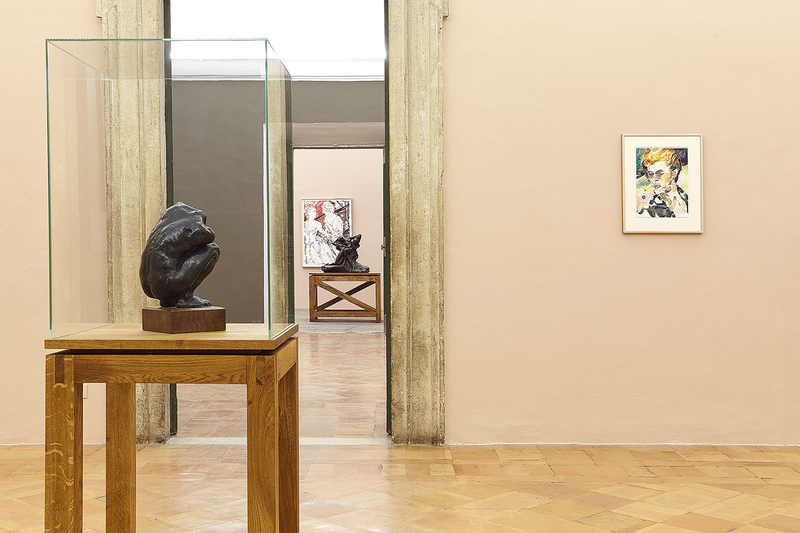 The exhibition comprises new and existing works by Peyton, displayed in the Grandes Galeries and the Balthus Studio, accompanied by a selection of sculptures by Claudel, one of the greatest sculptors of her time. Claudel’s work is rarely shown in Italy and this is her premiere at the Villa Medici. Abandon (1886–1905), Study for Sakountala (1886), and Portrait of Rodin (1888–1889) speak eloquently of Claudel’s passion through the sheer force of her handling of materials ranging from plaster to marble to bronze. Equally striking, both for nineteenth-century and contemporary audiences, is the distinctive eye with which the artist mediated between classical mythology and her own biography, often blending the two – as in Perseus and the Gorgon (1899), in which she uses her own features for the head of the Medusa. Initially a student of the French sculptor Rodin (1840-1917), then his lover and an artist in her own right, Claudel was the model and muse for some of the works to be found at the Villa Medici – the sensual embrace of Rodin’s Eternal Springtime (1884), for example, and his portraits of her. In describing the exhibition at the Villa Medici, Peyton fondly contradicts Shakespeare in remarking that two stars can share the same orbit. Claudel and Rodin’s intimate artistic and romantic relationship is triangulated by Peyton into a complex dynamic between three distinct artistic presences.